La Panza Ranch was once a wild frontier and home to only cattle and roaming cowboys. It has since developed into a multi-crop producing ranch. 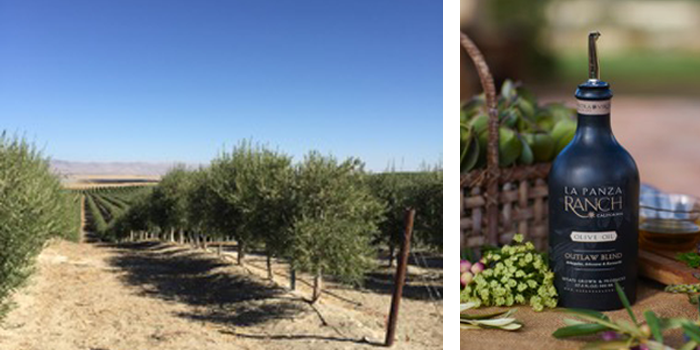 It is now home to hundreds of acres of olives trees, grape vines, cattle and hay fields. 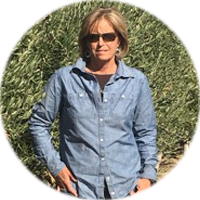 Through the vision of Mike Leprino and the management of Stacey Twisselman, the ranch has become one of the biggest crop producing ranches in San Luis Obispo County. Our grove was historically the hideout of the outlaw brothers Frank & Jesse James, hence the name of our oil, “Outlaw Blend.” The olives are planted using the super high density planting method which allows for mechanical harvesting. Our oldest trees were planted in 2006 and are of three varieties: Arbequina, Arbosana and Koroneiki. When everything runs smoothly, no breakdowns, no surprises and we can move forward in producing award winning olive oil – thats a perfect day!